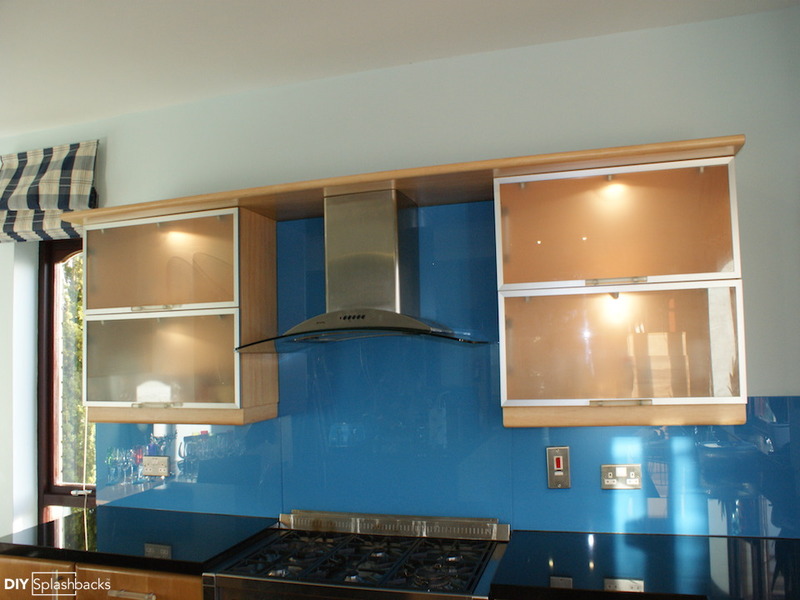 Green and Blue glass splashbacks. 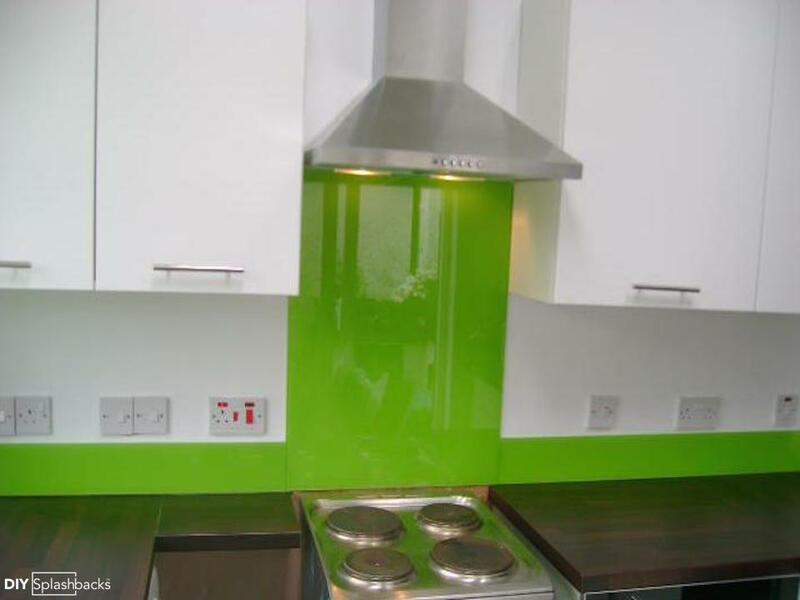 Green Glass Splashbacks are a fresh and bright way to colour to your scheme. With many large Branded Paint Manufacturers creating beautiful greens, it’s not hard to see why they are so popular. DIY Splashbacks colour match to all branded paint ranges such as Crown and Farrow & Ball. The above glass splashback is Dulux Fresh Stem. This client wanted a bright colour to lift their dark grey cabinets, and coordinated with matching bar stools on their Island. Another stunning shade in the Dulux Collection is Melon Sorbet. This Upside Down Tshaped glass splashback works beautifully with this kitchens walnut cabinets and worktop. This zesty shade is one of our more popular colours, and it’s not hard to see why. Not reserved for modern kitchens, there are many shades of green that work in classic and traditional kitchens too. The above Farrow & Ball Breakfast Room Green Splashback was fully fitted by our Nationwide Fitting Service. Our splashbacks are available in virtually any shape- even around your cooker hood model. 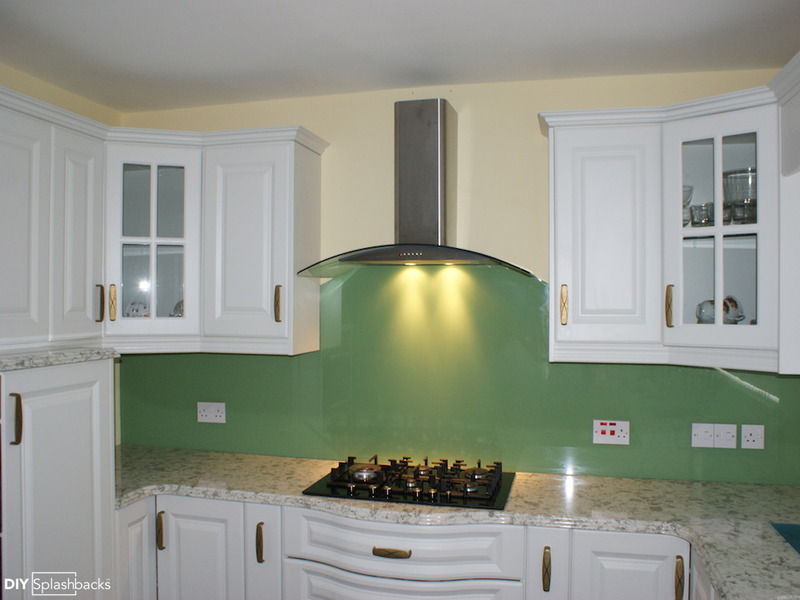 This Little Greene Phthalo Green splashback was fitted with matching upstands. Glass Upstands are a modern and cost effective way to add colour, and extra wall protection. Starting at just £35, upstands are easily fitted by any DIY amateur. Find out more about our coloured glass upstands. 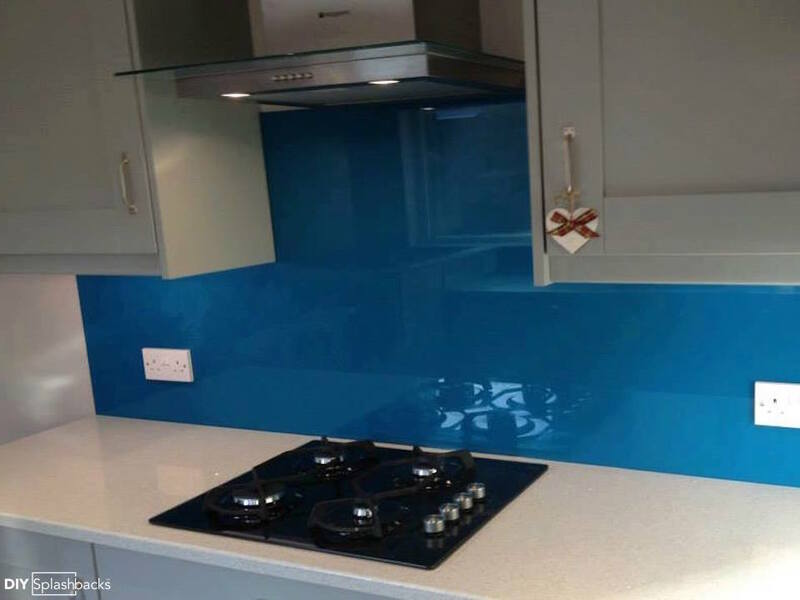 This bold shade is definitely for colour lovers, however we always recommend ordering a glass sample to ensure you find the right shade before committing to a splashback. 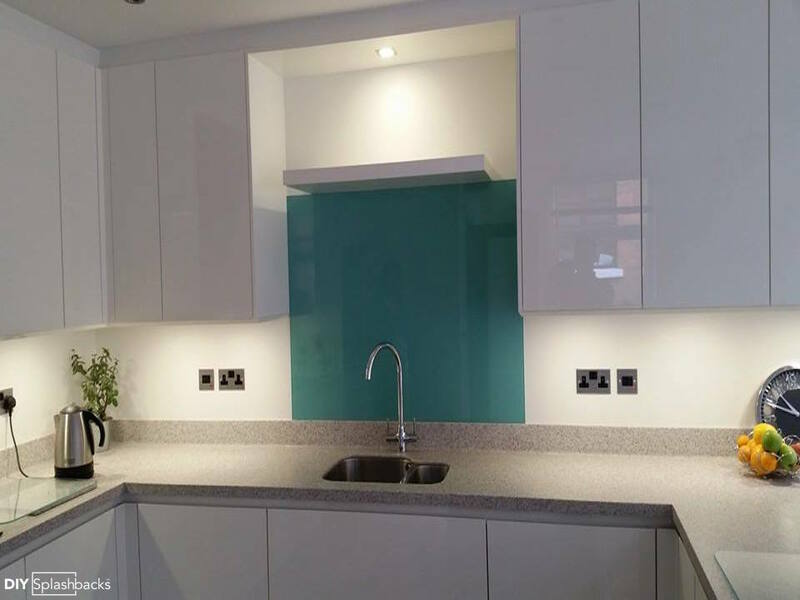 Brushed Glass™ Splashbacks are becoming increasingly popular. Brushed glass™ is a matt finish, that has little reflection, and is surprisingly robust! It doesn’t scratch, and repels dirt and grime with our EasyClean coating. Brushed Glass ™ contains a higher iron content than normal glass, meaning some colours can appear distorted. 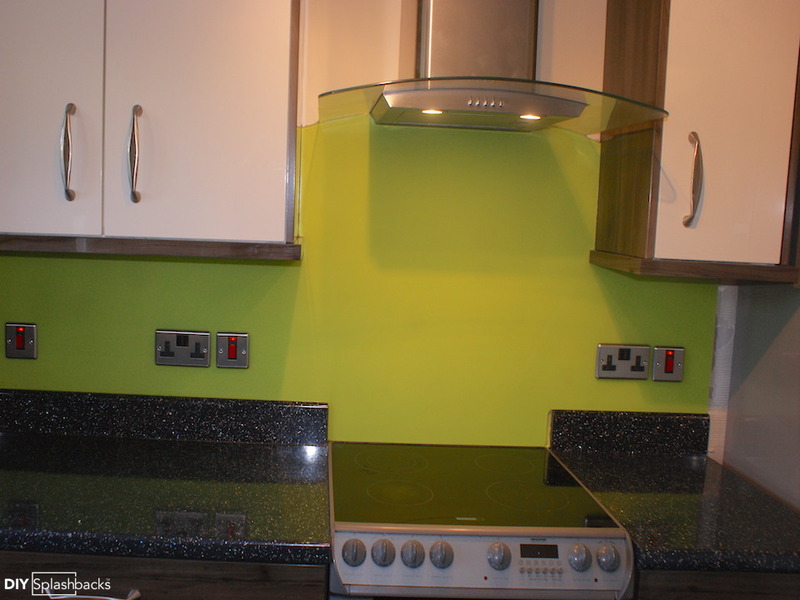 The above Dulux Luscious Lime splashback was our very first matt sale! Starting with Pale Blue, the above Dulux First Dawn glass splashback works beautifully with this homeowners birch cabinets. Using their worktop as a base, they picked the blue hint out of the speckled design to add colour. Paler shades tend to suit wood, and ivory kitchens in classic schemes. This kitchen has a similar wooden cabinets to the previous example, with the homeowner opting for Farrow & Ball St.Giles blue glass splashbacks. This cheery wedgewood colour adds personality to an otherwise neutral room. This shade would work equally as well with a white or Ivory cabinets. Dulux Striking Cyan (above) is a beautiful and very popular shade, along with Teal Tension (below). These colours are among Dulux’s best selling shades, and it’s not hard to see why! 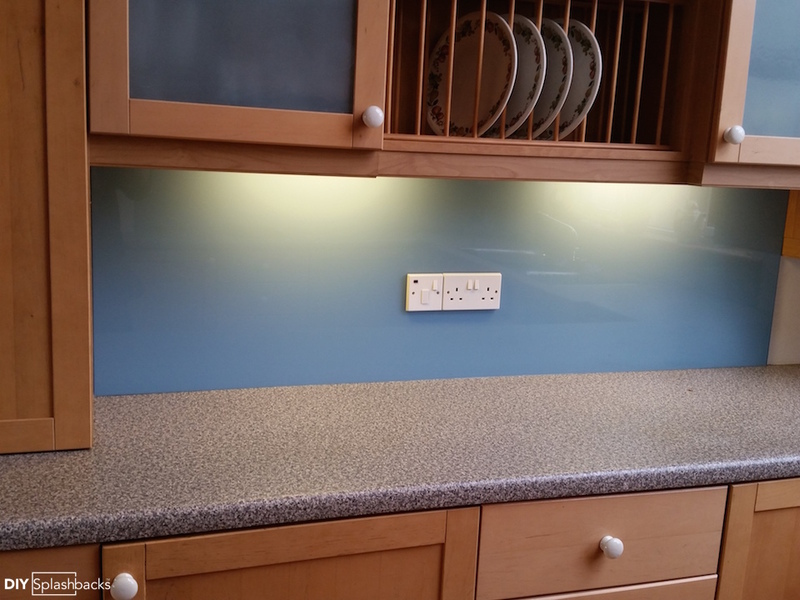 The below glass splashback was fitted as a splash zone behind a sink. Many new build and apartment kitchens do not have window, or choose to place the sink elsewhere in their layout. 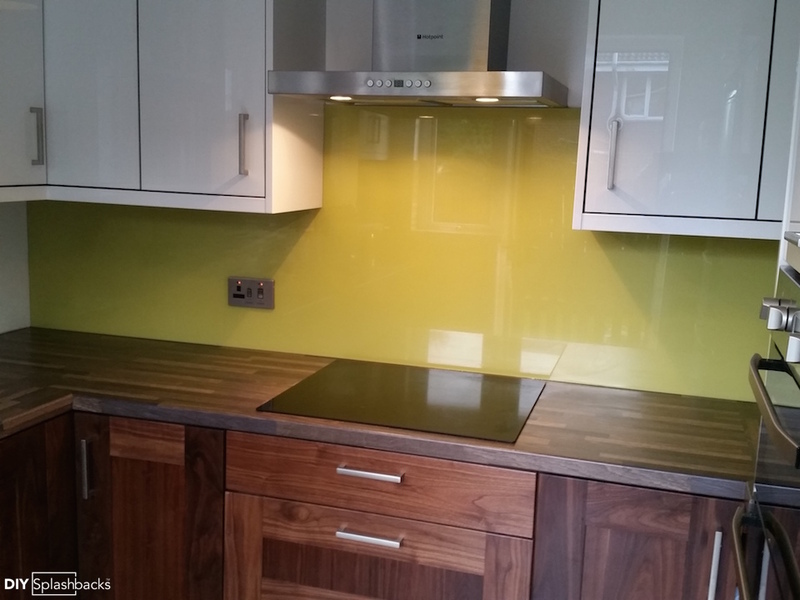 A gloss glass splashback can reflect much needed light around a room, whilst adding a focal point. 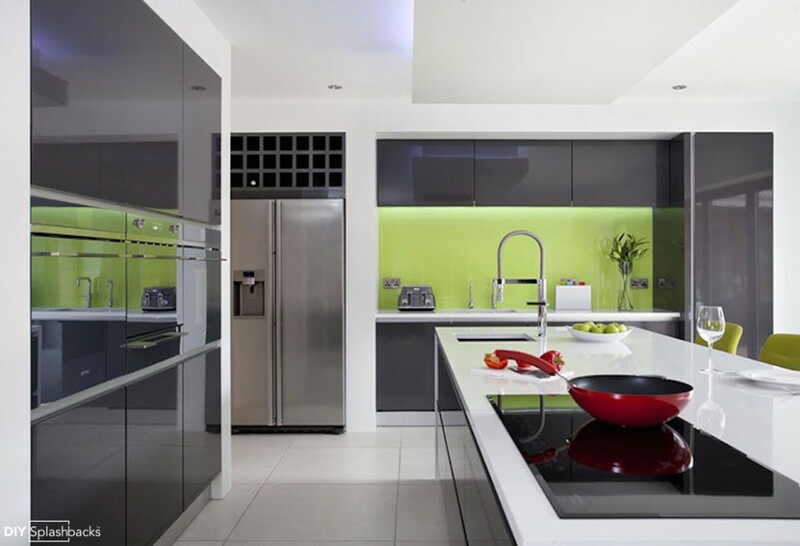 Alternatively a design splashback with an image could create a artificial view. Check out our Instagram feed to see an splashback example of a window, creating a view.